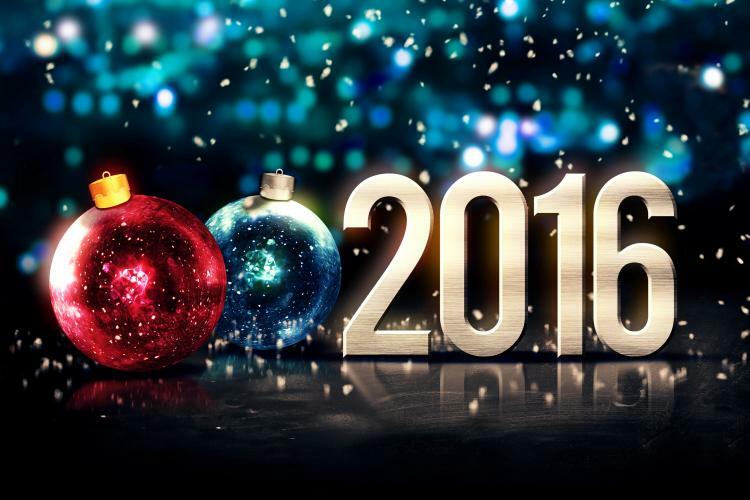 Make 2016 your year to go green! When the clock strikes midnight on New Year’s Eve, resolve to be more mindful of resource conservation. Extinguishing lights in vacant rooms … unplugging electronics when they are not in use … adjusting your thermostat in accordance with Army Regulation 420-1, Section 22-12 (b) … consuming fuel supplies wisely. All of these measures seem simple, but they can have significant impacts on Army Reserve energy. The Department of Defense is the largest consumer of energy in the Federal government and spends billions of taxpayer dollars every year to power our facilities and our mission. By conserving energy, you are conserving operational costs for the Army Reserve. The Army Reserve mission at home and down range depends on accessible, dependable and affordable fuel supplies as well. Energy conservation sustains these vital supplies and protects our nation’s energy security. A clean environment is crucial to sustaining the Army Reserve mission and the communities in which we live and operate. In addition, practicing the ‘3 Rs’ helps to save purchasing and waste disposal costs for the Army Reserve. Find means to reduce your waste at home and at your Army Reserve facilities, and find creative ways to reuse items. When you can’t reduce or reuse materials, recycle them whenever possible. Plastics, aluminum cans, steel cans, office paper, newspapers, periodicals, cardboard and electronics are only a few of the materials that can be recycled in most areas. Check with your Installation’s Directorate of Public Works for recycling facilities or find a recycling center near you here. The Army Reserve’s reach is worldwide. Therefore, a variety of ecosystems live in harmony with our facilities and Soldiers. From the beaches of Hawaii to the deserts of California to the longleaf pine forests of North Carolina, there are many environmental considerations at our sites. Many aspects of the Army Reserve mission – from the availability of clean water to the accessibility of training lands – are dependent on the health of these unique ecosystems. The Army Reserve must also maintain compliance with Federal mandates and regulations regarding the protection of natural resources and cultural resources. Always be respectful of our environment. Pollution is a major threat to the natural resources that are so important to our mission – clean air, clean water, open land (to name only a few). And, pollution can be a major threat to our fiscal resources if we do not prevent and manage it properly. As Federal entities, Army Reserve sites must maintain compliance with mandates and regulations regarding pollution prevention. Pollution prevention also sustains the health of our communities and our Soldiers. Do your part to prevent pollution by reducing your use of harmful chemicals, disposing of wastes properly and considering how your actions impact the environment. If we all work together, 2016 can be the most sustainable year ever for the Army Reserve! HAVE A QUESTION ABOUT HOW TO BE MORE GREEN? HAVE A GREEN SUCCESS STORY TO SHARE? CONTACT US! The holidays are a joyful time, but if you are not considering our resources, they can also be a wasteful time. According to the Environmental Protection Agency, Americans generate 25 percent more trash and waste 33 percent more food during the holidays. Energy consumption commonly increases at this time of the year, too. You don’t have to be a Scrooge to enjoy an environmentally sound season, though. Simply incorporate some sustainable practices into your celebrations. Use Light Emitting Diode (LED) lights instead of incandescent lights. LEDs consume up to 90 percent less energy than their incandescent counterparts. In addition, LEDs have longer lifespans and emit less heat than incandescent lights. Power down your light displays overnight and during daylight hours. Set your holiday lights on a timer. If you are purchasing electronic gifts, choose Energy Star models. Consolidate your shopping trips and errands as much as possible. Ensure that your tires are properly inflated and remove the ‘junk from your trunk’ for optimal gas mileage. Use public transportation when possible. Send holiday cards and party invitations electronically. Carry your own reusable bags with you on shopping trips. Plan your holiday meal carefully to reduce food waste. Incorporate locally grown and raised foods into your holiday meals. Eliminate the use of disposable dinnerware for parties and meals, and choose reusable materials. If you must use disposable dinnerware, choose bio-based or recyclable options. Provide recycling containers at your holiday parties. Store and reuse holiday decorations year after year. Use natural materials in your decorations. Give ‘experience’ gifts such as tickets for an event or lessons for a hobby. Donate unwanted gifts to charity. Choose recyclable and recycled content wrapping paper. Reuse papers such as newspapers and magazines or even materials such as maps, comic strips and artwork to create unique and beautiful gift wrap. Buy rechargeable batteries for your electronics. When shipping holiday gifts, minimize your use of packaging materials. When receiving holiday gifts in the mail, reuse packaging materials, and visit your local post office or shipping store for information on packaging reuse and recycling programs. Recycle your natural Christmas tree by grinding it into mulch, or research Christmas tree recycling programs in your community. How Green is Your Tree?